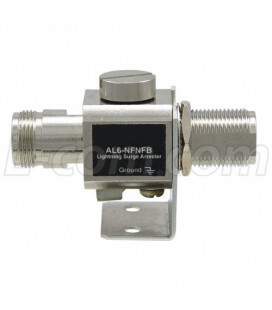 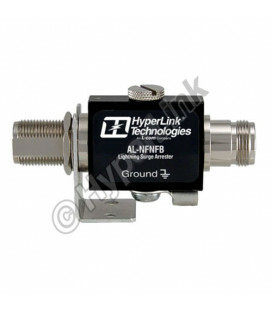 The AL6-NFNFBW-9 is a very high-performance gas discharge tube suppressor featuring wide-band operation up to 6GHz. 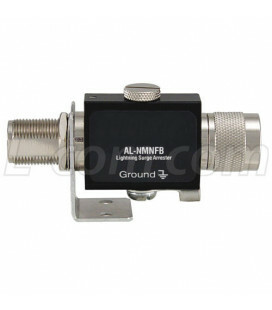 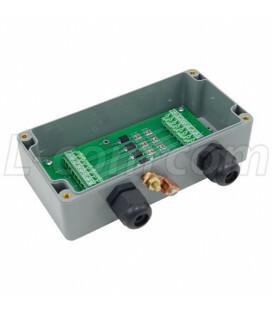 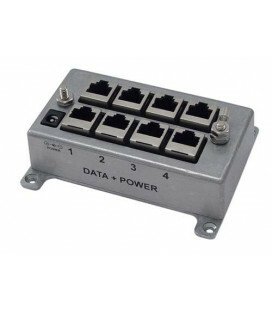 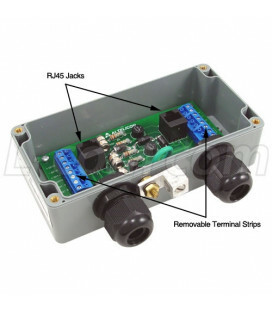 The unit features a bulkhead N-Female connector with a rubber "O"-ring seal for mounting through an enclosure wall or using the included stainless steel mounting bracket. 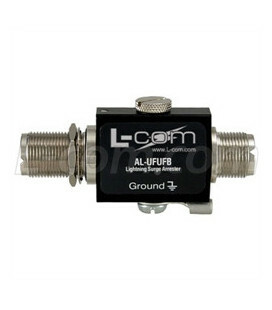 Due to its superior RF performance this unit is ideal for IEEE 802.11a and other 5.2 - 5.8 GHz ISM and UNII applications, as well as 3.5 GHz WLL applications. 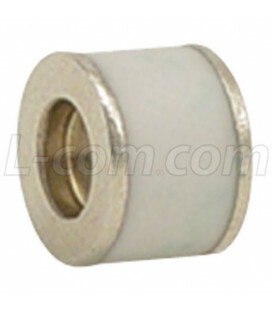 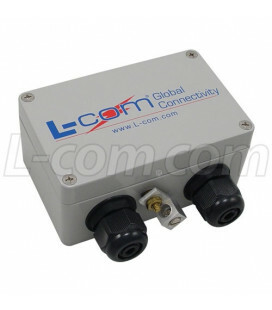 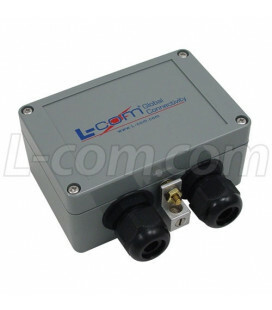 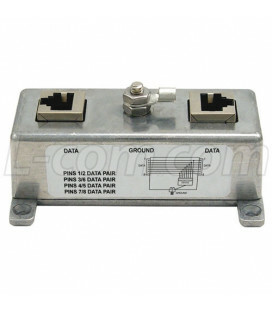 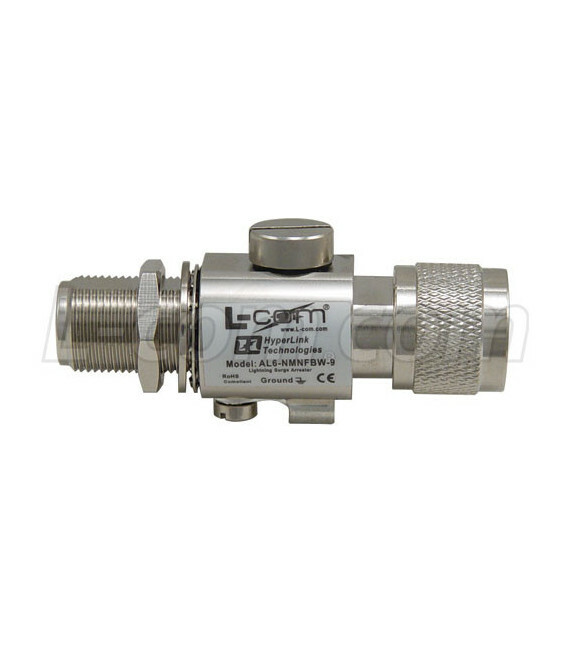 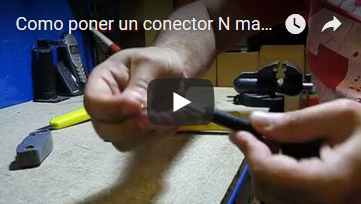 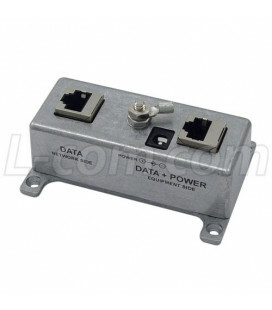 Since this protector will pass DC it is suitable for applications where DC is carried through the coax cable such as remote amplifiers an LNA´s. 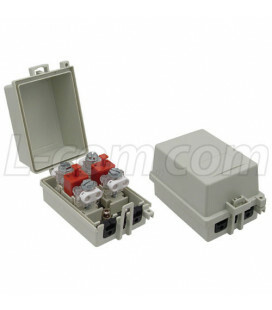 Both connector ports of this unit are equally protected. 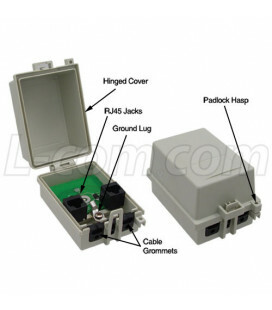 this provides protection no matter which way it is installed. 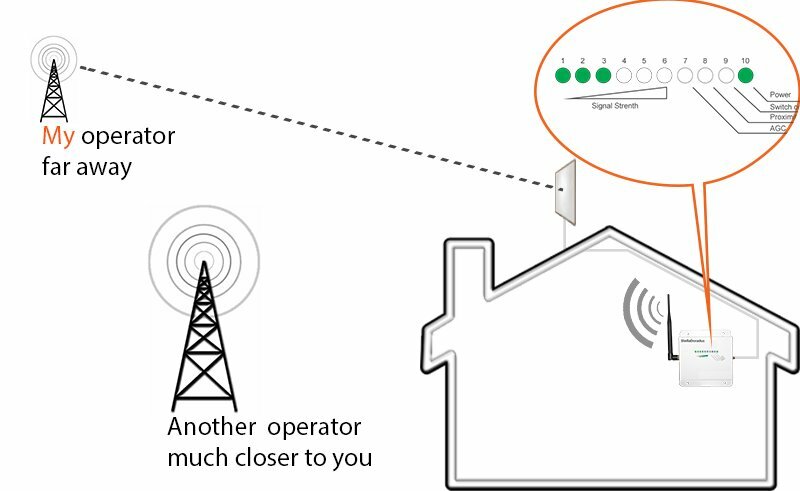 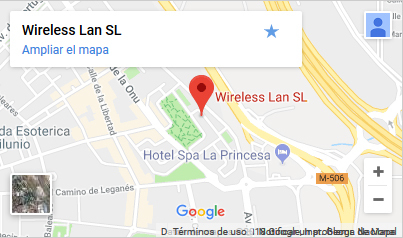 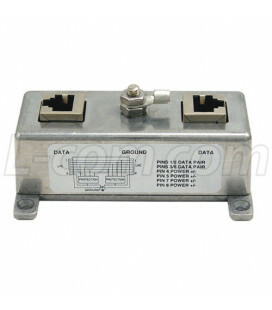 Either port can face the antenna and either port can face the equipment. 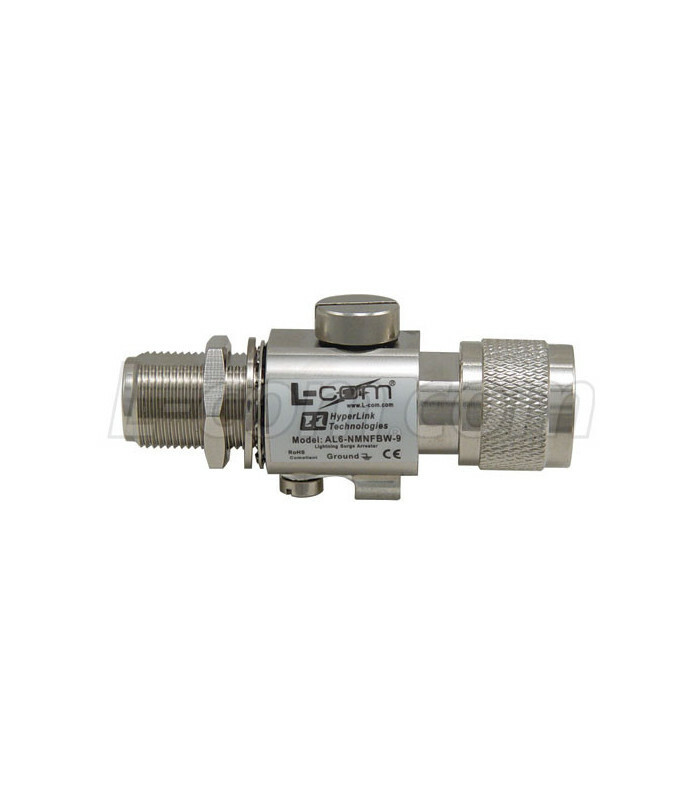 The unit´s replaceable gas tube element, multi-strike capability and fast response time make it suitable for a range of applications. 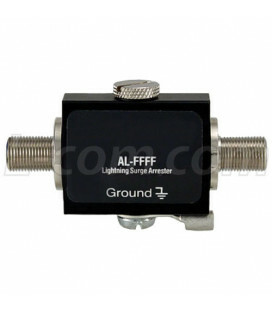 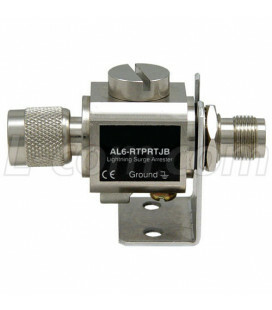 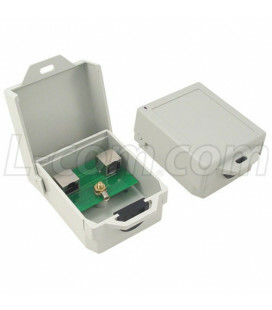 A ground lug and terminal is provided directly on the lightning protector housing, which provides superior grounding.